It's been too long! I have been lurking in the shadows productive but silent. Knitting, sewing, and quilting have been my diversions since my last post. Knitting seems to keep my hands busy when I don't want to start a big project or go down and heat up my sewing area in the basement. Here is a recent hat I made for a charity project with some donated Lion Brand Jiffy yarn. 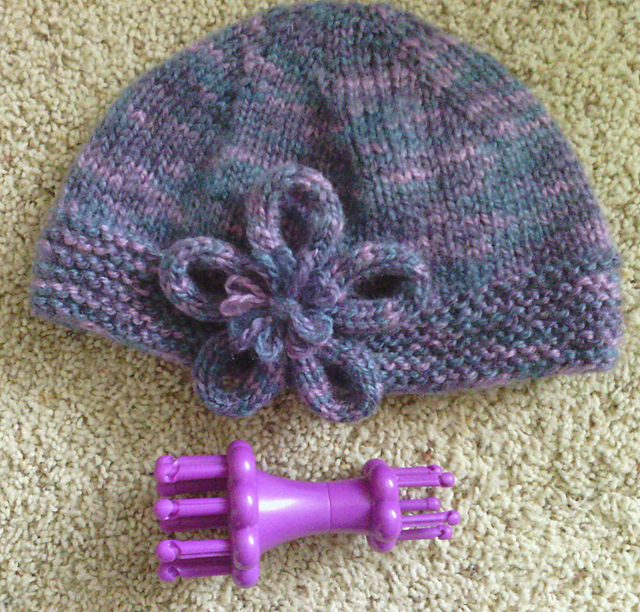 The large knitting knobby/spool makes a cute flower embellishment. 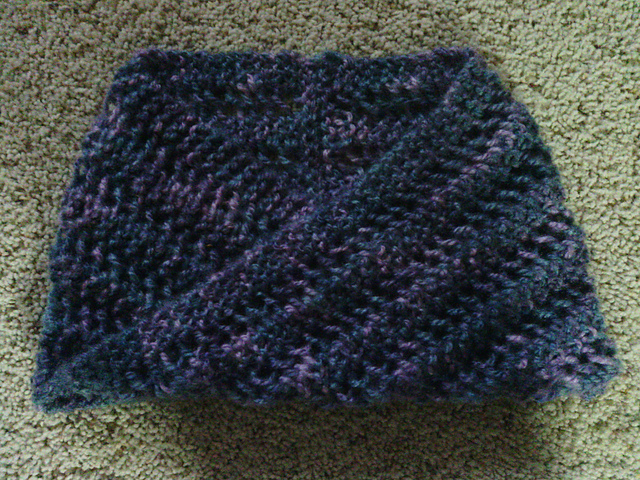 The cowl is 24 stitches on size 11 needles. I knit until I had 27 inches then finished off the piece as instructed for a scarf. With a 180 degree rotation on one end, I whipped stitch both ends together, stitch for stitch. The pair make a classy looking gift for anyone or those confined to wheelchairs who feel drafts indoors any season. Last week's sewing project used up a one yard remnant of fabric. I now have a curtain and valance to dress up the small room/side entry off the kitchen. Last Sunday, I warmed up the HQ 16 and quilted Indy's quilt. Now binding and special label are all that remain to that project that is as old as he, 17 months tomorrow. With 4-H quilting camp coming up, I hope to have some lovely quilts to show off for the next entry. 4-H Quilt Camp 2013: Where did all the boys go?